Arena Aficion regular, usually on top in the matches. 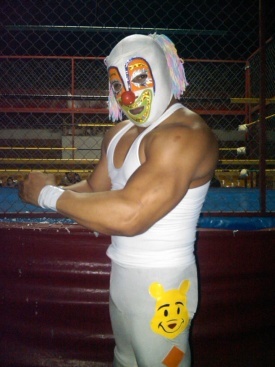 Wrestled there from the mid 2000s to May 9, 2013 when it was announced a new luchador would be taking over the character. The new Arenita disappeared after a few months. The name has been seen on other Pachuca area promotions, and it's unclear which person is the character now. This page was last edited on 21 March 2016, at 19:24.